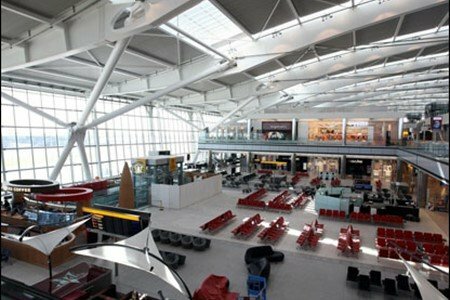 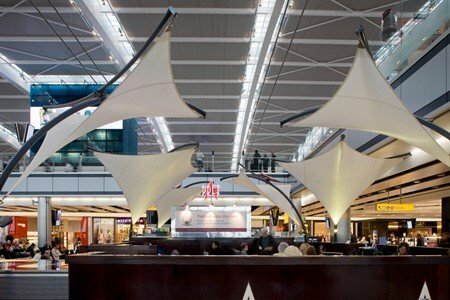 Pret A Manger’s Heathrow Terminal 5 branch, wanted to add a contemporary twist with interior tensile structures in order to create an inviting and desirable destination for travelers amongst neighbouring eateries. 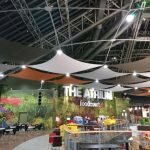 In the vast open-plan food court, they wanted to offer a more ‘intimate’ dining experience whilst being recognizably ‘Pret’. 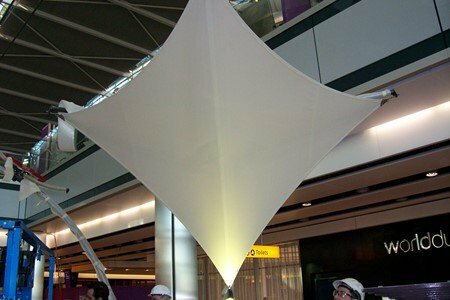 It was important to Pret A Manger that the designs selected could be branded with corporate colours and their logo. 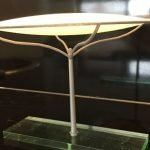 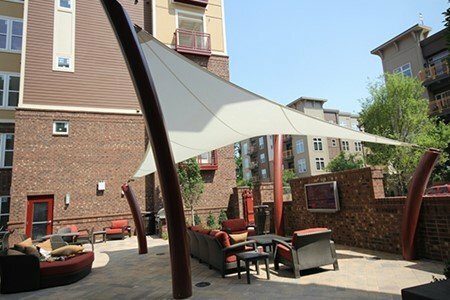 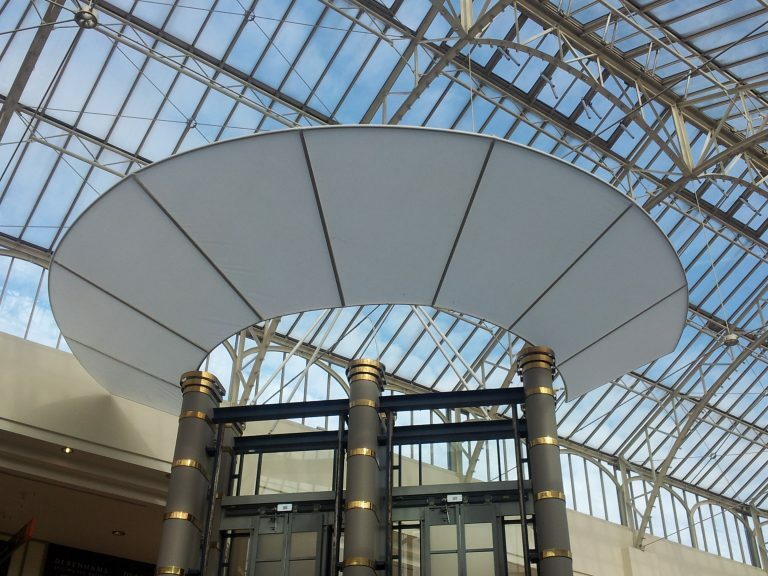 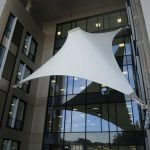 They required canopies that could reflect light as well as allowing sunlight to pass through the fabric. 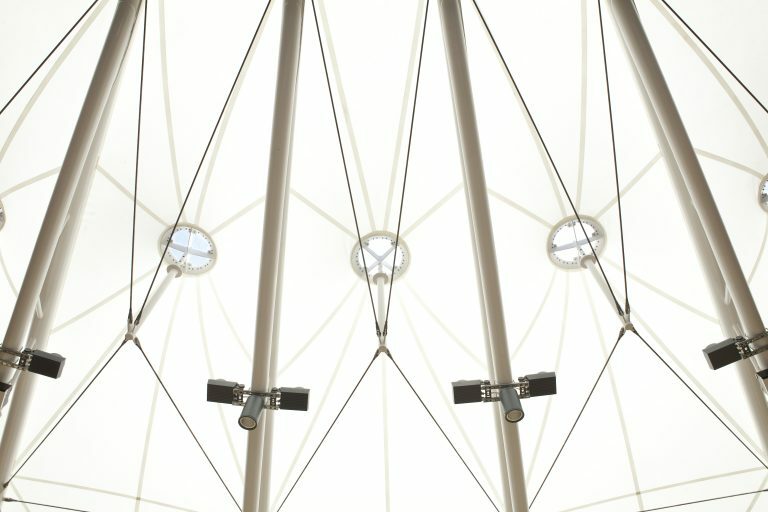 Pret A Manger was looking for a design that would be eye catching, something that would reflect their modern image thus encouraging foot-fall into their outlet. 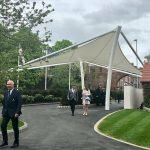 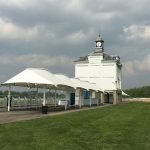 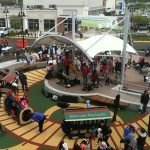 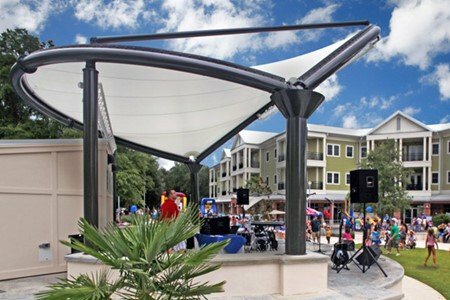 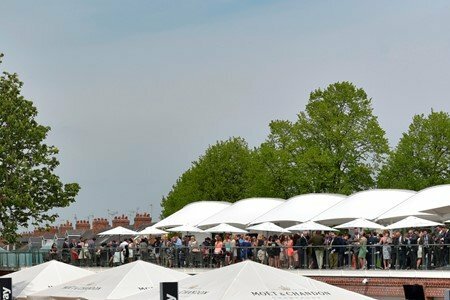 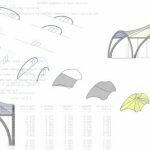 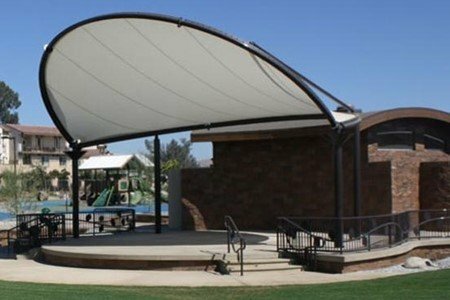 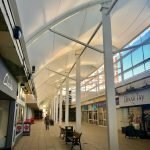 Fabric Architecture offered a cost effective solution by recommending a series of Skylar tensile structures, from their range of ‘ready to install’ Signature Structures. 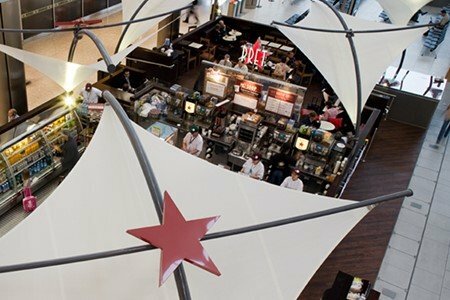 Skylars are easy to specify and were branded with the Pret logo and colours. 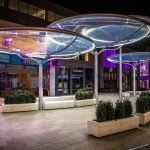 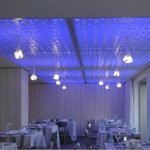 In total, two 5m and four 4m Skylars were installed, all manufactured in white Silicone Glass Weave fabric, which has a light transmission of 40%.